In the United States, the average unemployed person has been looking for work for 39.7 weeks – or more than 9 months. Although unemployment rates are at an all-time high, caregiver jobs are actually increasing every day. A rapidly growing elderly population combined with an increased desire for home care has created the need for qualified senior caregivers. In-home elder care companies continue to hire professional senior caregivers – actually reporting a shortage of qualified caregivers in many US cities. If your agency is experiencing difficulty recruiting caregivers, consider using a homecare software or homecare system, such as ClearCare, to ramp up hiring. Not only will finding and hiring quality caregivers be easier; you will also have a simpler time managing your caregiver pool. Unemployed job seekers may begin looking into careers in senior care, as employment opportunities in this field continue to increase. In fact, the senior care industry is recognized as one of the top employers of the next decade. If your agency wants to be included in the business boom, it must be prepared. Utilizing the homecare software and homecare system available through ClearCare is an ideal first step. 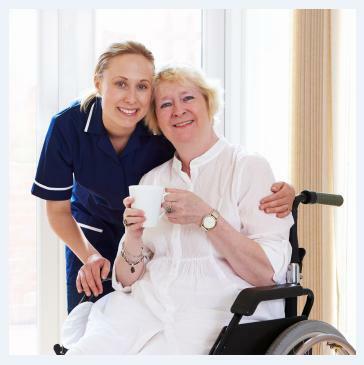 Bring in more clients by featuring ClearCare’s remarkable homecare system that guarantees reliable care. Research shows that senior citizens and their families appreciate the use of technology in care settings. A dependable homecare system and homecare software program, such as ClearCare, helps keep seniors safe and well cared for. Utilizing a top-notch homecare system also sets your agency apart from the competition. While other home care companies struggle to recruit and manage caregivers, your agency will be running smoothly – and growing even more successful.